Home What is AWS? Why to prefer it? Business operations inculcate various advanced technological software applications to provide ultimate deliveries satisfying client specifications. However, cloud computing applications intend to improve the business processes through effective platform. Amazon Web Services (AWS) is one of the best cloud-computing solutions preferred to others by companies worldwide. It's considered to be the best options for standardising business deeds and improving performance. Let's now know about AWS and why to prefer it. Amazon has been playing a very significant role in offering various cloud-based services - these are termed as "Amazon Web Services". Solutions for development, testing, and deployment of software applications through traditional approaches need maintenance of huge physical infrastructure and increased investments. However, choosing cloud solutions like AWS can avoid the associated obstacles. It offers services related to database, compute, storage, analytics and deployment to various companies helping them to operate well through various departments. AWS offers an assorted service portfolio which is offered through Amazon.com. Amazon EC2 and Amazon S3 are the popular services. Let's know about some of the services. Amazon Elastic Compute Cloud (Amazon EC2) - It is engaged to provide elastic web-scale computing, that is reliable, scalable, and easy to start. It ensures virtual computing environments, promotes various configurations, ensures security and improves the networking services. It ensures many business operations to run easily by simply subscribing to app programs. Amazon Simple Storage Service (Amazon S3) - It enables the services of storage and retrieval of data of any size, anywhere, and at anytime. It is intended to provide fast and inexpensive data storage infrastructure for maximizing the benefits. RedShift - It is considered to be a data warehouse service that is able to handle petabyte-scale data. Upon connection with standard SQL based clients and business intelligence tools, it deals with analytical workloads. CloudDrive - Music, photos, videos and documents can be accessed and uploaded through web-connected devices with the help of this application. Even, streamlining the music can also be done through it. ElastiCache - It's a caching service that improves the speed of dynamic web applications through the protocol of Memcached. Memcached is an open-source caching system that is associated with high performance. Why is it necessary to prefer AWS? Keen understanding of these concerns helped businesses to find the solutions through the outstanding cloud services of AWS. Its characteristics are extensive and superb bringing substantial benefits for companies of various sizes. Roll down to know the distinctive features of AWS that make it preferable to other cloud-based offerings. Amazon is the best platform provider with 15+ years of experience in offering large-scale infrastructure services globally. The same is being continued with AWS with innovative skills of infrastructure management. Highly reliable tools and technologies are incorporated through AWS - so, effective desired services are offered on-time for the companies. 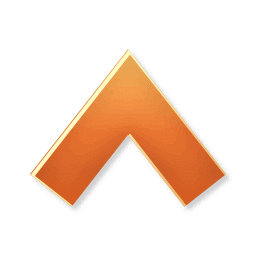 Furthermore, the resulted services offered by AWS are not at all associated with any risks. Users of any departments can easily access and avail the services of AWS - therefore, there in no need of any internal IT infrastructure and technical IT support staff. So, simple usage of AWS tends all the employees of the company to work on their own, perform well, improve their productivity and show direction for customer satisfaction. AWS can be customized to use any architecture and database - function on any operating system and include varied programming languages. It's so flexible to use that users need no IT experts to learn new skills. Simple architectural use assures accelerates overall productivity. With the flexibility assurance mere concentration on innovative development can be improved instead of hard struggles on infrastructure development. Furthermore, the migration to building of new solutions can be easily done. AWS enables operations on all - offsite data backups, batch processing to full apps. The Relational Database Services (RDS) of Amazon provide automated backup approaches. The data saving and retention is feasible to use when needed. Hence, AWS also avoids ambiguities in data dealing, analysis and other considerable important aspects. However, the backups can be enabled and disabled based on the applications and requirements. Customized services offered by AWS can be utilized as per the demands and requirements - addition and subtraction of resources for services can be maintained favourably. The resource utilization for projects can be planned in relation to various consumption rates for shorter lifetimes. So, it's possible to scale up and scale down the use of applications as needed. Standard and strict security practices ensure effective delivery of the services. Timely audits are performed to maintain infrastructure security that includes operational, physical and software measures. Necessary documentations are offered for the companies to know the deployment of security features. AWS also enables data safety and integrity. The data is kept available and confidential by 'end to end' privacy and 'end to end' security. It's an inexpensive option which can be used with minimum spending of payment on only the consumed amount of storage, compute or other IT resources. However, the amount of amenities used has no limit set. The 'pay as you go' pricing option helps saving costs. Avoiding upfront costs, it even offers priced solutions and products on hourly basis. Thus, the affordability of AWS makes it preferable for small, medium and large enterprises. With the above characterized benefits, companies prefer AWS for attaining organizational benefits. 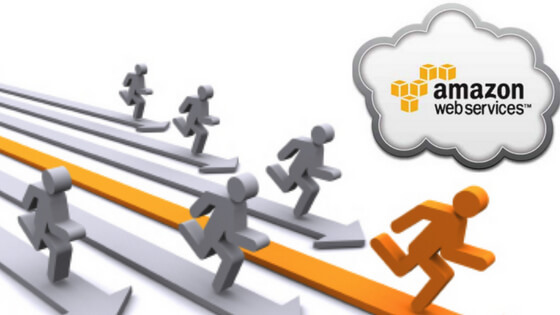 It is even beneficial for job aspirants to get AWS training from reputed institutes like Capital Info Solutions to attain better job offers with high salary packages.